This Ultratech features a tanto blade with a black finish and a plain cutting edge. 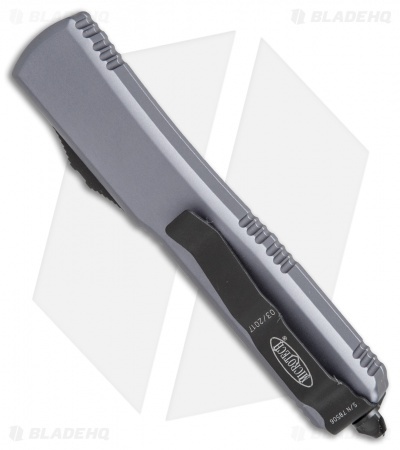 It has a contoured, gray anodized 6061-T6 aluminum handle with a black finished pocket clip, glass breaker, and stainless steel hardware. 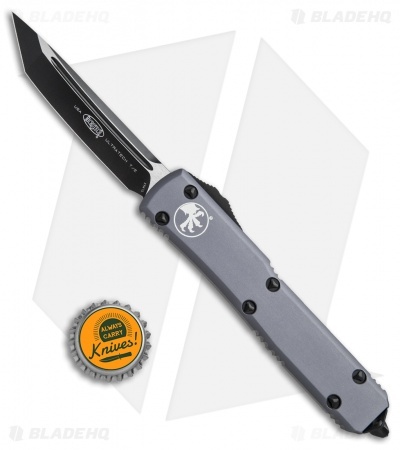 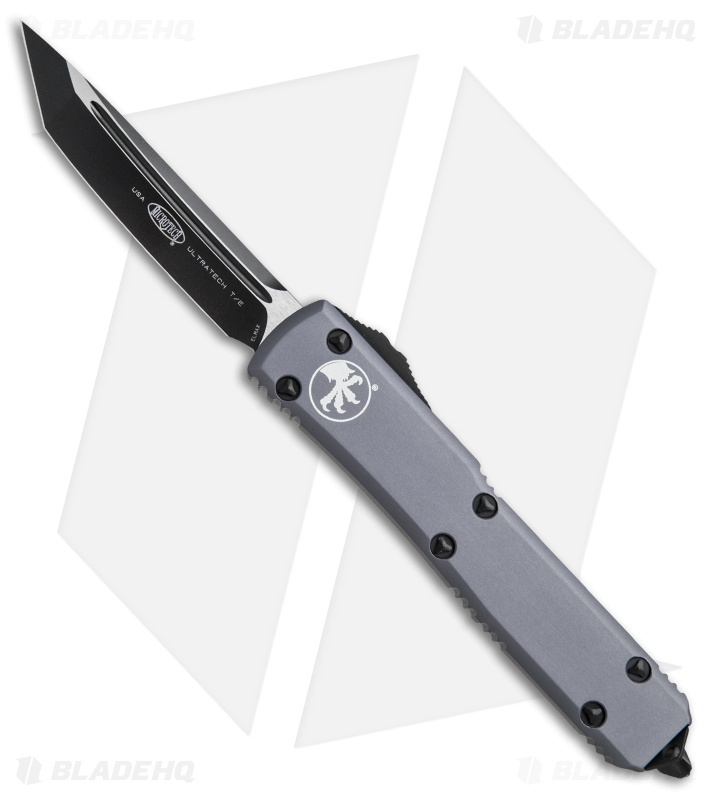 Microtech equipped this version of the ever popular Ultratech D/A OTF knife with a smooth, contoured handle design that promotes increased comfort during use. 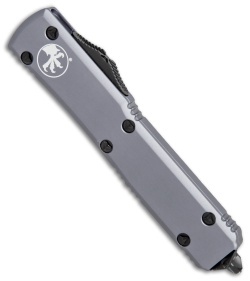 This updated model provides the same dimensions, hardware, and durability offered by the "Tri-Grip" variation, but goes easier on the hands and pockets. For those unfamiliar with the Ultratech, it's a fully automatic knife with a double-action out-the-front mechanism, meaning the thumb slide deploys the blade and retracts it as well. The Ultratech knife from Microtech has set the bar for all OTF knives.